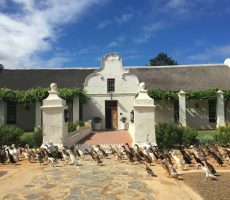 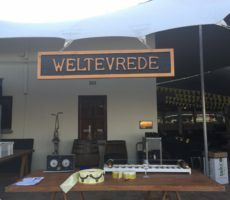 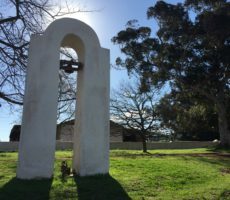 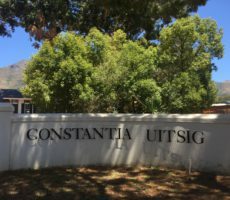 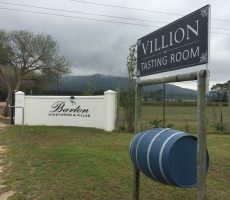 My journey North from Yonder Hill on the R44 towards Stellenbosch passed 2 estates where I had tasted at before: Avontuur and Ken Forrester. 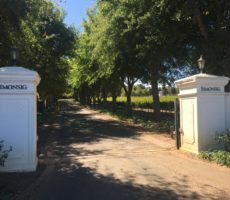 I headed instead to Eikendal Vineyards. 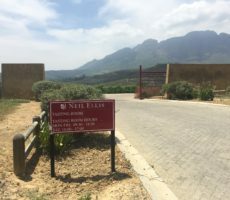 Unusually, this was a wine farm that I knew nothing of nor had I seen or tasted their wines beforehand. 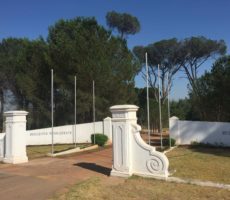 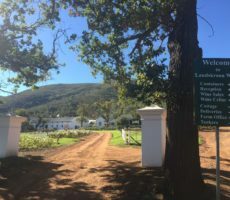 ‘Eikendal’ translates from Afrikaans to English as ‘Oak Valley’. 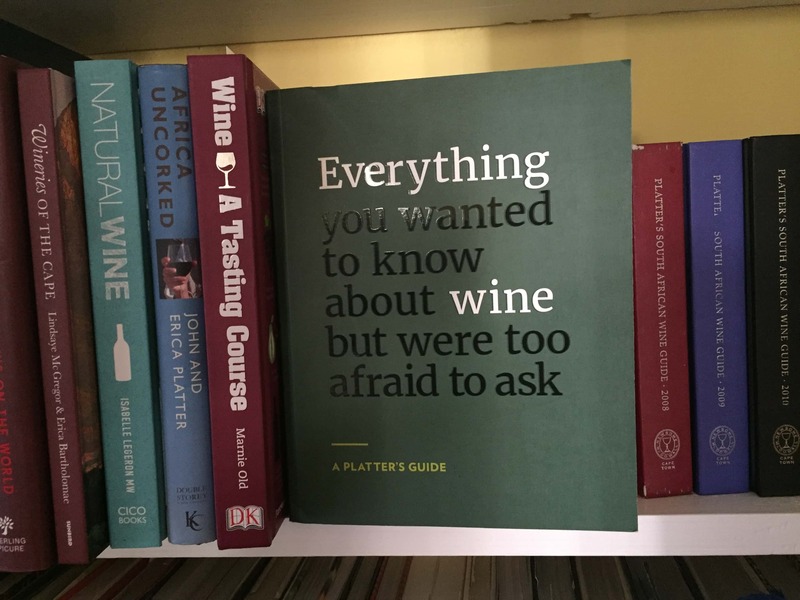 I saw little of either. 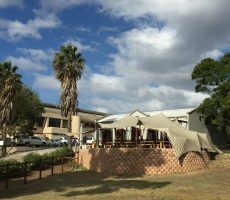 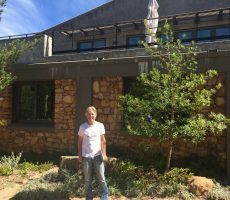 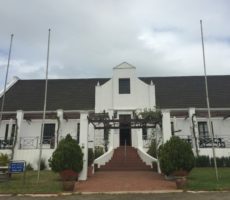 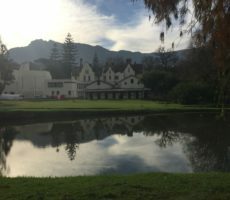 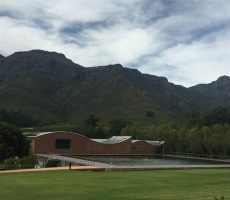 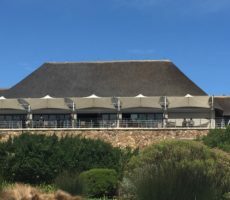 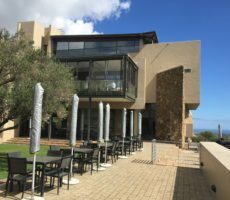 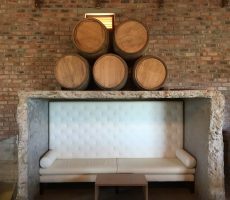 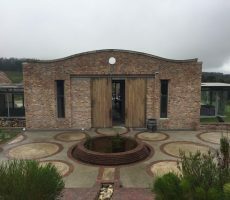 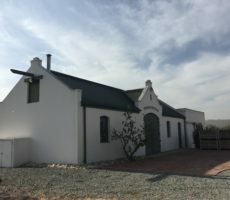 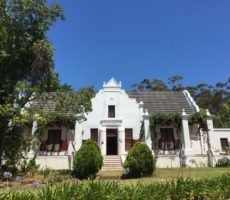 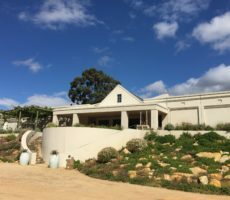 My first impression of Eikendal was of the large seated area beside the dam and outside the large tasting Room/Cellar building. 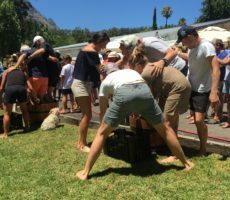 I did not expect there to be the range of activities that make up the ‘Eikendal Experience’. 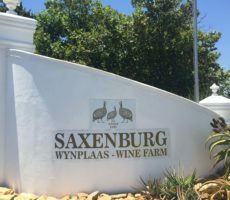 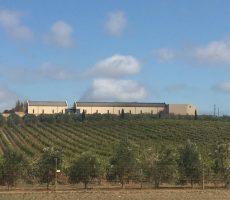 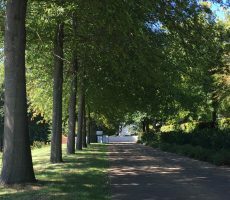 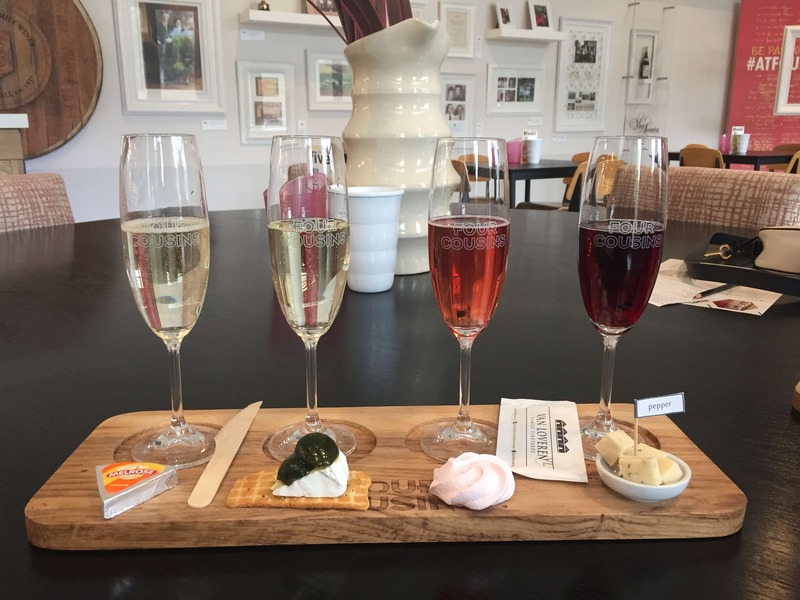 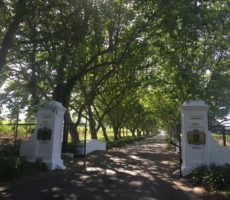 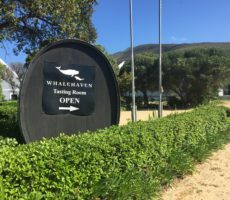 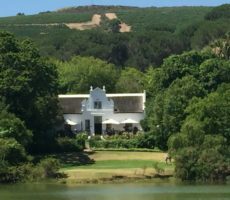 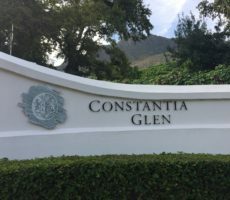 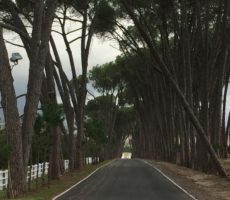 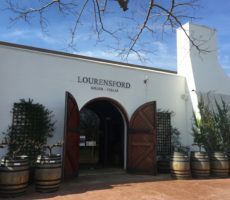 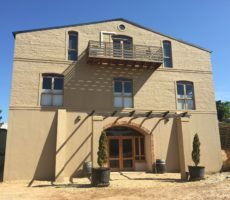 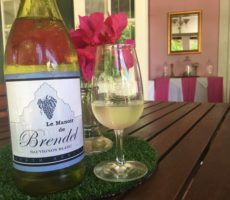 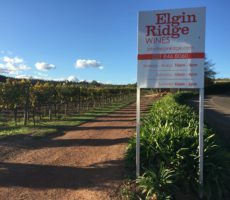 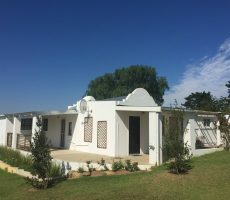 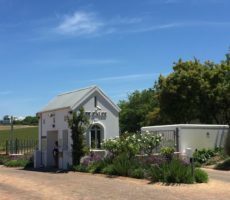 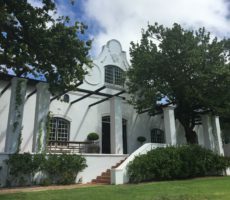 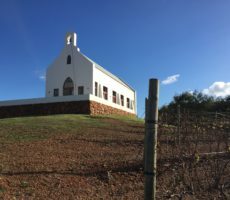 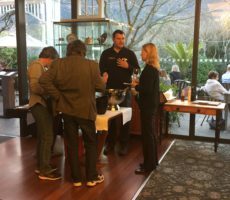 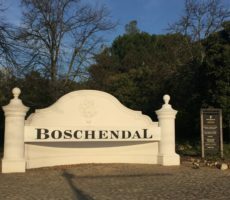 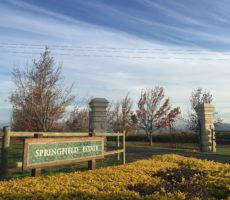 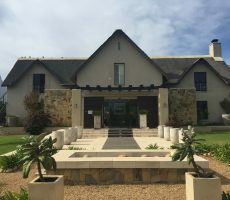 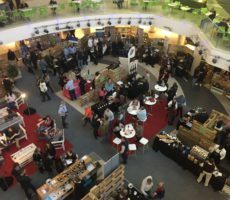 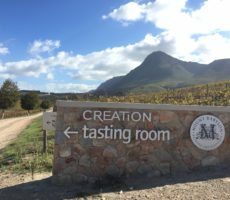 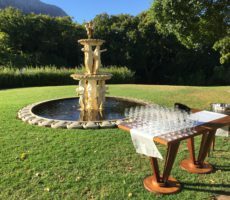 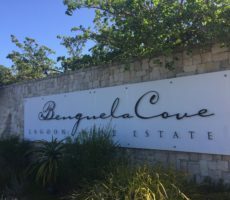 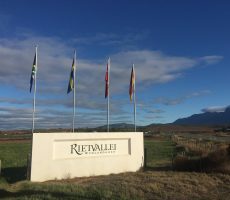 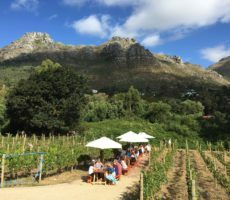 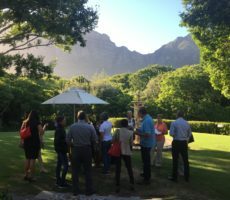 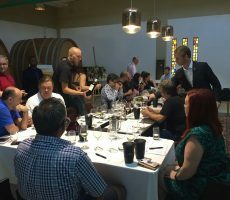 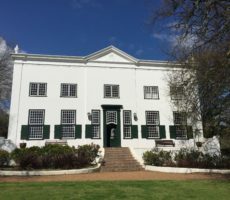 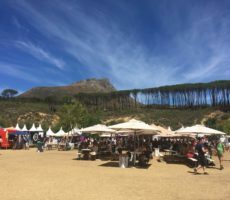 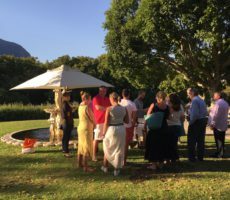 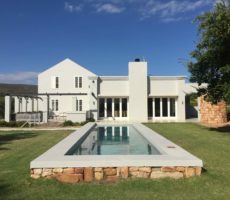 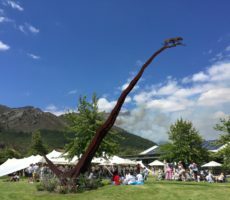 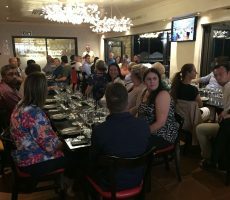 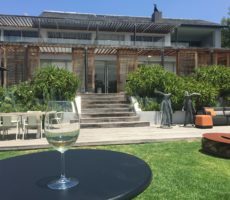 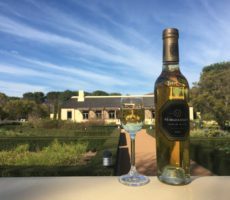 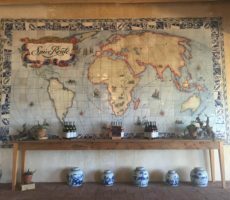 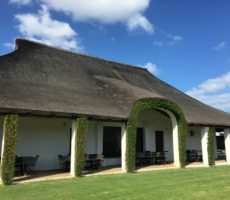 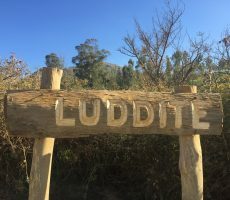 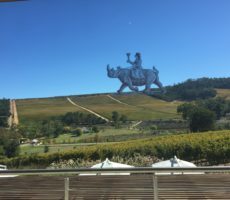 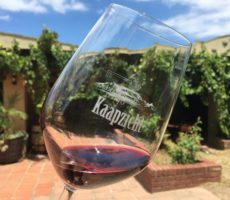 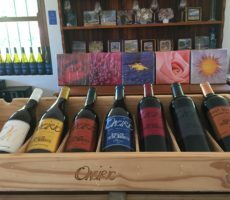 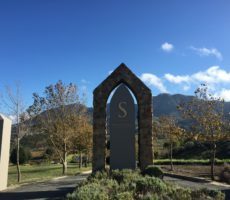 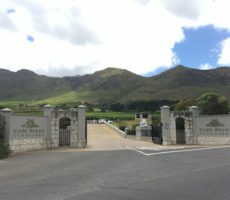 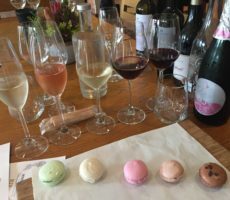 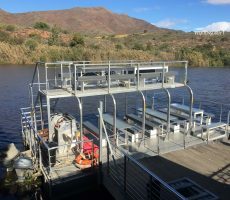 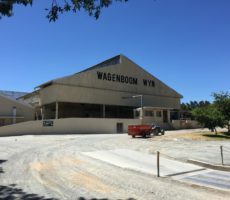 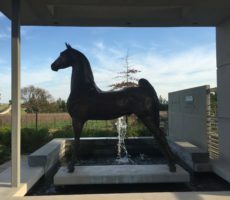 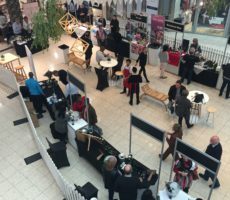 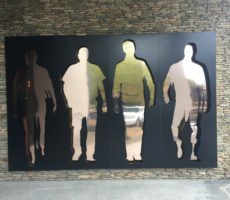 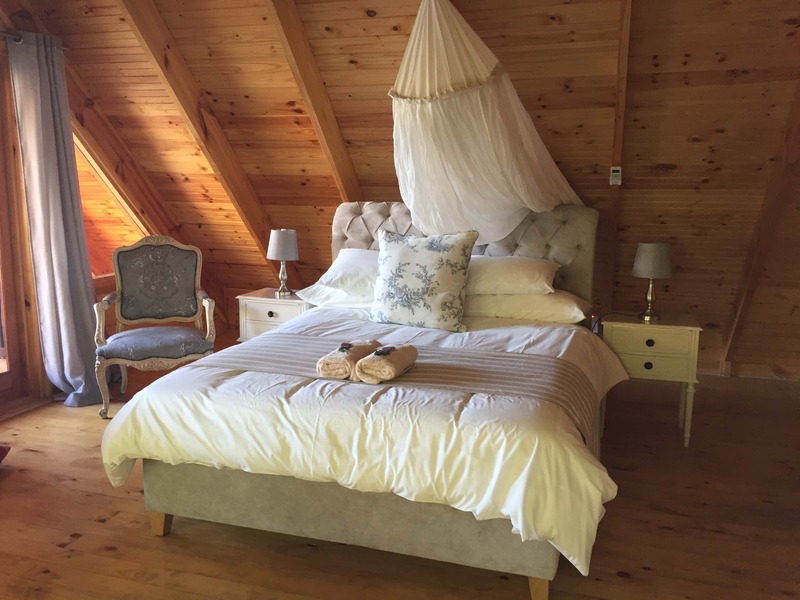 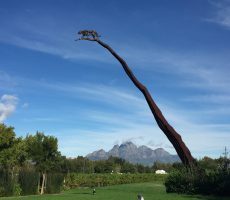 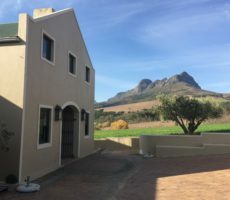 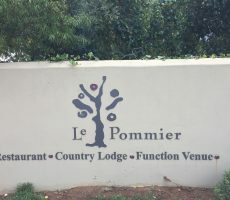 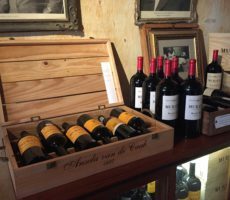 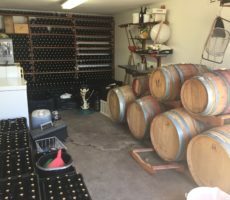 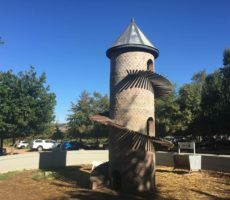 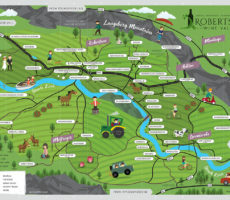 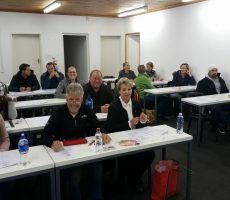 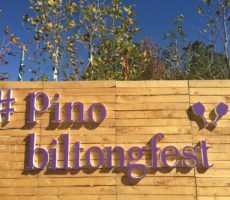 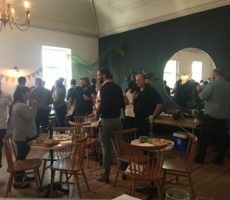 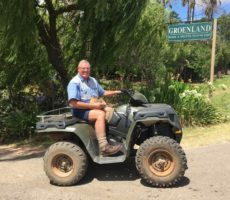 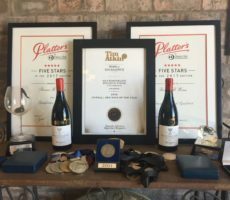 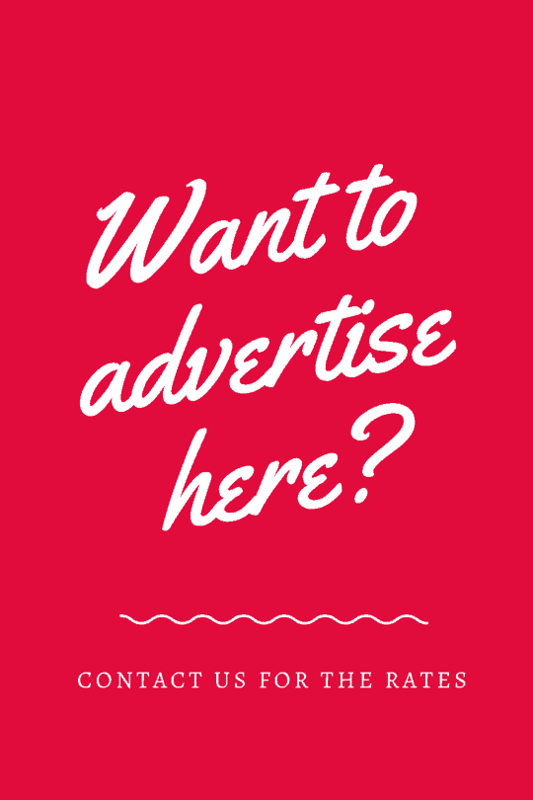 Besides wine tasting and sales, there are cellar tours, a Lodge, an Italian restaurant, tractor rides and playground for children, fly fishing, and vineyard walks. 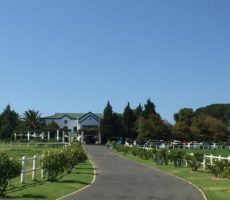 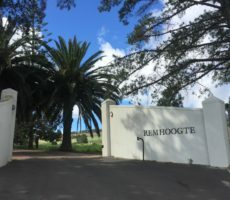 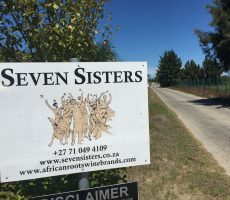 The 76 hectare wine farm has been owned by the Saager family from Zurich, Switzerland since 1981. 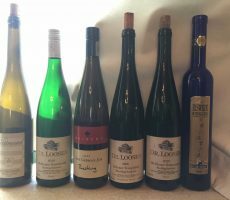 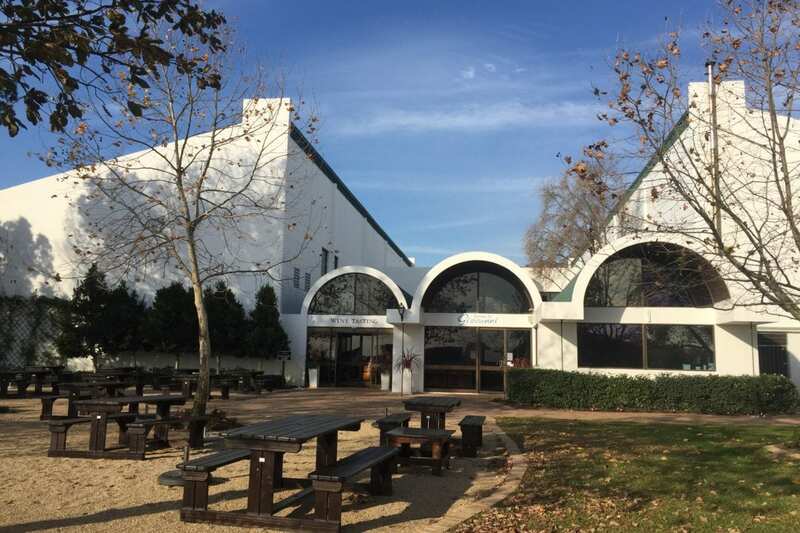 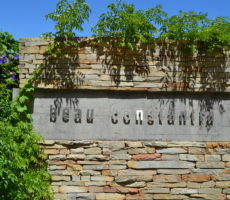 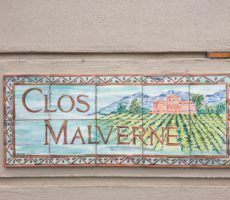 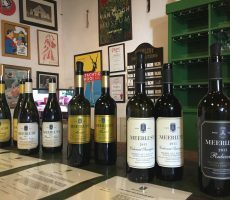 They quickly established the Cellar and wines were first made in 1987. 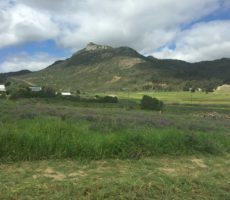 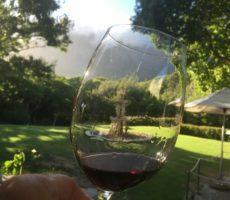 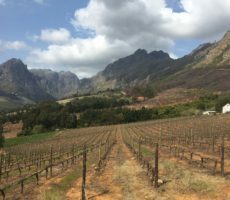 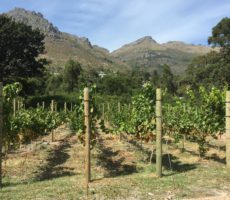 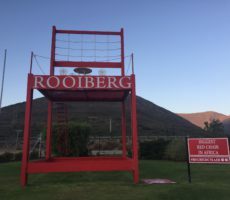 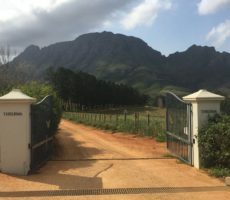 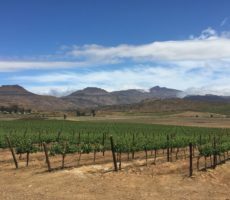 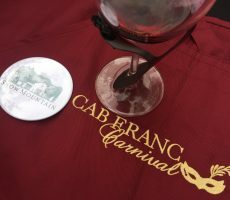 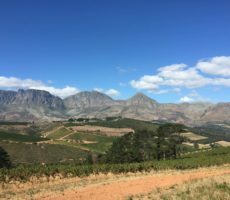 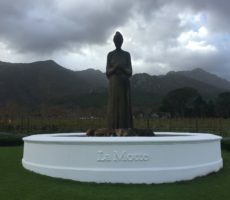 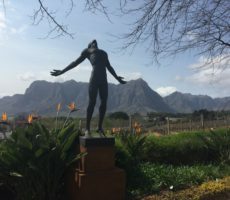 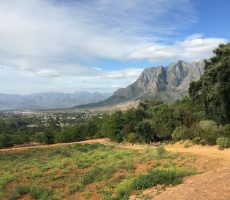 Fifty hectares are planted on the slopes of the Helderberg Mountain with Cabernet Sauvignon, Merlot, Cabernet Franc, Cinsault, Malbec, Petit Verdot, Shiraz and Chardonnay. 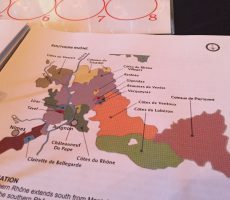 Red wines predominate with wines made in the Bordeaux, Burgundy and Rhône styles. 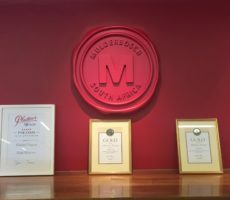 These are sold in 3 ranges: the Premium Range, Reserve Range and Icon Range. 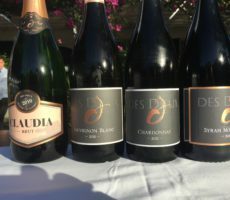 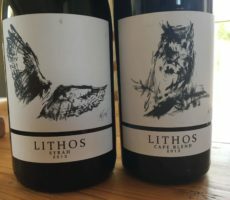 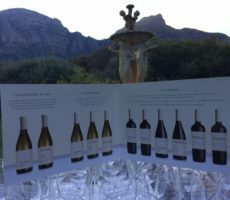 I paid R50 to taste 5 wines and chose from each of the ranges. 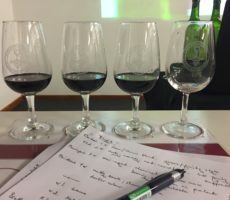 Bradley was my attentive host. 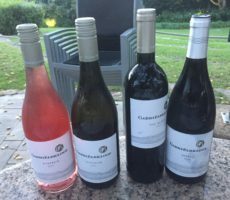 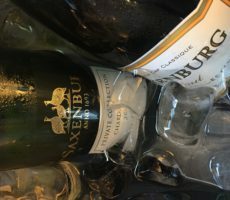 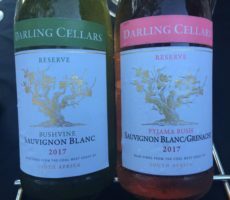 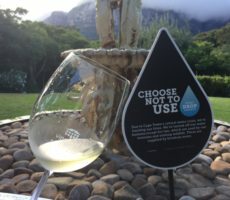 The Premium Sauvignon Blanc/Chardonnay and Rosé were easy drinking value wines as I would expect from their R68 price tag. 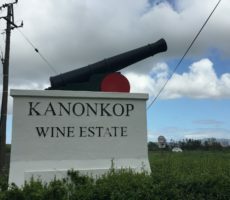 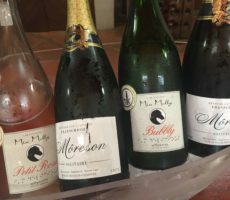 Neither was demanding of the drinker, showing simple complexity of aroma – herbaceous, guava and kiwi for the white blend and sweet strawberry and raspberry for the Rosé – and moderate acidity but a light finish on the palate. 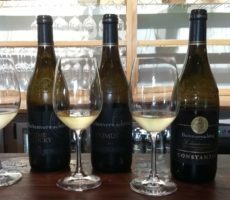 I much preferred the Janina Chardonnay, named after the first daughter of the owners, from the Reserve Range. 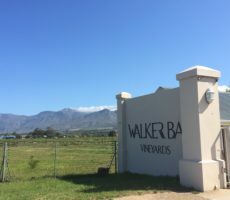 Eikendal grapes are mixed with those from Elgin (20%) to make a naturally fermented, unwooded wine (concrete eggs used) with bold, forward notes. 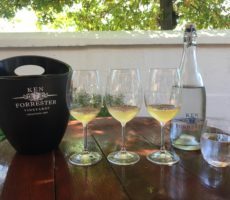 I tasted vanilla and honey amid the ripe red apple aromas that gave the wine an almost wooded character. 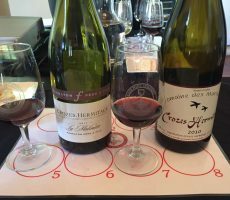 Unlike the first 2 wines, dry acidity on the palate contributed to a firm follow-though to the finish. 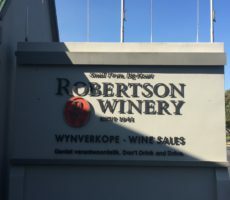 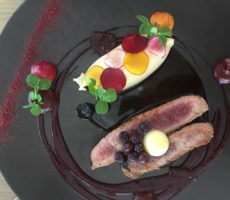 The Reserve Charisma, an interesting blend of Bordeaux and Rhone grapes with a splash of bought-in Sangiovese, was full bodied and with a purple tinge to the medium ruby colour from the dominant Shiraz. 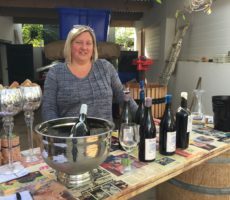 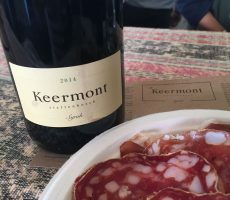 ‘Rhône meets Spain meets Italy’ is how the wine is described on the Eikendal website. 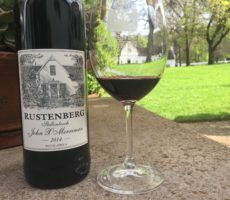 This was a bold wine with good complexity of spicy dark plum, blackberry, and cassis. 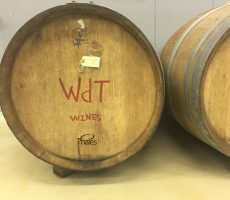 It had bags of tannins from 15 months maturation in large 4,500 litre barrels. 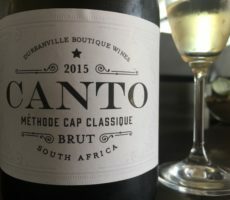 The tannins were bitter and overpowered the fruit flavours to mar an otherwise good palate. 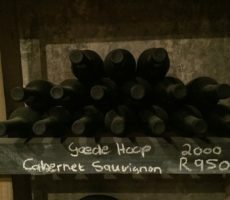 I expect this wine to improve with age as the tannins soften. 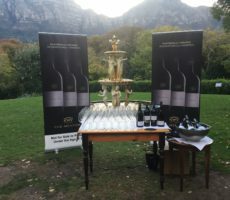 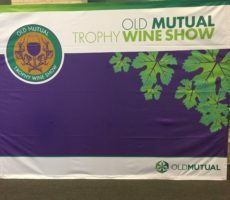 My final wine was the multi-award winning Classique. 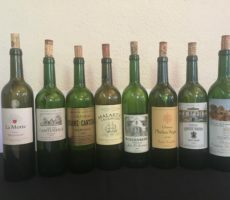 The flagship Bordeaux style blend with up to 25 years ageing potential showed its class and attention to making. 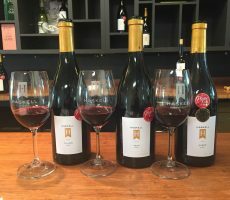 Full bodied like the Charisma but deeper ruby in colour, the plumy nose brought out the full fruity complexity of the individual cultivars and of the Merlot in particular. 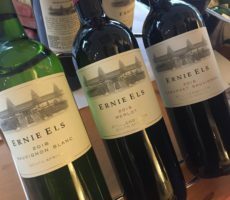 Fruit and (softer, more rounded) tannins were in better balance than the Charisma to make for a delightful wine. 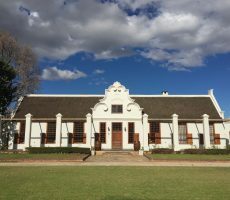 Eikendal had much to offer even though I sampled the wines only. 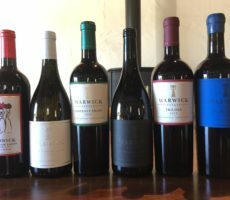 The higher quality wines just outnumbered the commercial ones. 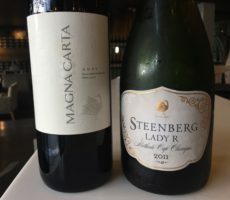 Price and quality of the wines matched. 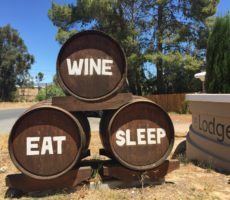 That may seem an obvious statement but it is not always the case. 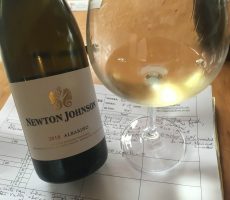 The Janina Chardonnay was best value of all the wines I tasted. 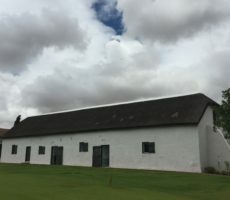 Unsurprisingly for late on a Thursday winter afternoon, the farm was quite but I can imagine being a popular choice of families during a summer weekend. 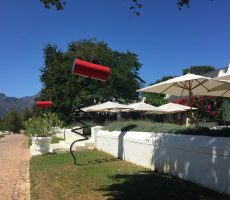 Eikendal definitely deserves a repeat visit.